After one year, I finally have a second guest post. It's all about wonderful Cape Town, South Africa! And it's written by my college blockmate and kabarkada, Lia Andrea Ramos. Sounds familiar? Of course since she was a former Binibining Pilipinas-Universe and Miss Photogenic at the Miss Universe 2006 pageant! Li-an is now modeling in South Africa and loving it! Hope the E-1 gang gets to visit you there soon! In my quest for an exotic destination, I found myself traveling for eighteen hours to a small city situated at the tip of Africa. I arrived in Cape Town, South Africa on a beautiful, cool summer day in November. Summer in Cape Town runs from November until March. Yet experience taught me that Cape Town weather is unpredictable. There are days when I go through the wet, the cold and the hot in one day. Windy times in Cape Town are intense, the strong southeasterly winds from the Atlantic can literally blow you away. Kaapstad, Cape Town in Afrikaans, is the most popular tourist destination in South Africa because of its scenic landscape and good climate. 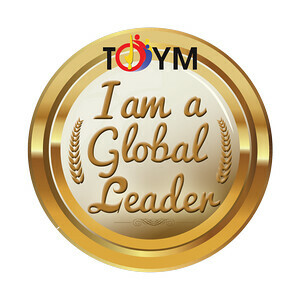 Its tourism industry is quite impressive, with a fairly developed infrastructure to support it. It is not a surprise that it is an easy pick for Europeans as their regular summer paradise. Cape Town, as locals say, will not escape its name. It is a city yet maintains that town-like characteristic of a laidback atmosphere. It could be the beaches and the mountains that surround it that enhance this vibe. Familiarity is easily achieved; and in a month’s time, you would probably have met most of Cape Town. What I love about it is that it is a melting-pot of the young and the old from all over the world. It is a city full of dreamers and lovers. Its cultural diversity and free-spirited environment makes every person’s experience of Cape Town a unique one. As a nature lover, my love affair with Cape Town happened in an instant. 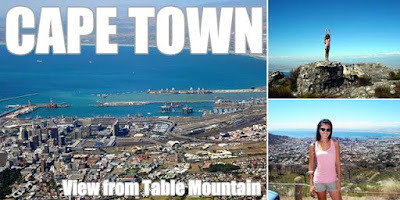 The first thing that captured me was Table Mountain, the city landmark, a flat-topped mountain that stretches about 3 kilometers from side to side, flanked by Devil’s Peak to the east and Lion’s Head to the west. It is a dramatic backdrop of the entire Cape Town City Bowl. During the summer, the peak can be reached through a cable car. For the adventurous, the hike up to the peak is quite a rewarding challenge. In my five-month stay in Cape Town, I resided in Camps Bay, a posh residential and commercial area close to the beach. Camps Bay is the most popular among locals and tourists alike. The Lion’s Head (it was named such because it looks like a lion), and the Twelve Apostles, a mountain with twelve peaks, form an imposing background to this setting. Restaurants and bars are nestled right along the main road of Camps Bay where you can enjoy good food and refreshing cocktails. Popular spots include Caprice, Paranga, and The Grand. Sunsets at Camps Bay are breathtaking, sky painted with red, pink and orange. The only downside to this almost perfect setting is that water is icy cold and one can last only a few seconds or minutes in the sea. 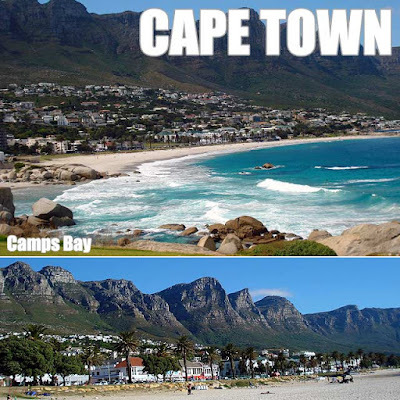 For a less crowded setting, Clifton beaches, which is divided into four sections - Clifton 1, family beach; Clifton 2, models beach; Clifton 3, gay beach; and Clifton 4, mixed group - are right next to Camps Bay. Exquisite holiday houses with breathtaking views of the mountains and the sea can be found in this area. Food is one of the reasons to come to Cape Town. You are in for one gastronomic experience! Because of its cosmopolitan nature, restaurants of different cuisine have sprawled all over town. African and local isiXhosa cuisine are served in trendy restaurants in the city center, such as Marco’s African Place, Mama Africa and Nyoni’s Kraal. 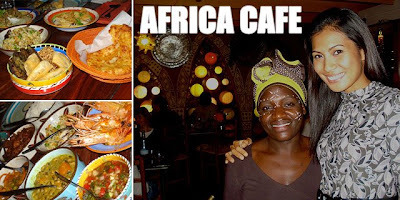 My personal pick is Africa Café, for the interiors and varied food selection. The server, dressed in traditional African clothing and painted face, brings six small portions of different African dish at a time. After three sets, you can order a repeat of whatever your taste buds fancy. For a traditional Cape Malay meal, the historical Bo-Kaap area is the place to visit. Wine is a staple in every dining experience in South Africa. The Cape region is home to six winelands, three of which I have visited. Constantia, about fifteen minutes away from the city, boasts of the some of the oldest wine estates and homesteads in the country, such as Groot Constantia, established in 1685. Stellenbosch, further away from Cape Town, is the oldest wine route established in South Africa and most popular one. 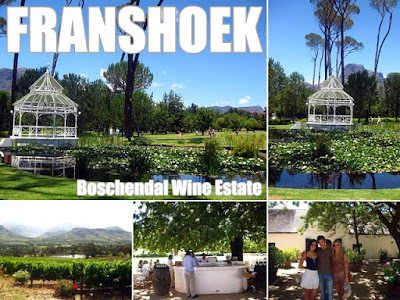 Franschoek, first occupied by the French Huguenots, produces many of South Africa’s top wines. The French influence is evident in the town’s guest houses and side street cafes. Eight of the country’s top restaurants can be found in this town, apparent of French flair in culinary arts. The safari is a must see while in Cape Town if you want a close encounter of the big five - lion, leopard, rhino, elephant and cape buffalo. The term big five was coined by game hunters according to the level of difficulty in bagging them, due to their ferocity when cornered and shot at. Not for the faint-hearted, Cape Town offers quite a number of extreme sports to experience. 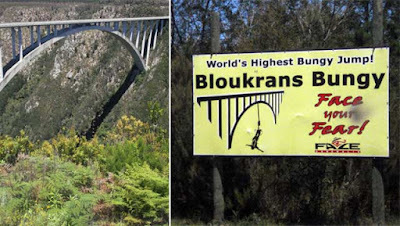 You may go sand boarding and quad-biking in the sand dunes of Atlantis; kite surfing on Langebaan Lagoon or Bloubergstrand; paragliding off Signal Hill; bungy-jumping in Tsitsikama Nature Park, the highest bungy-jump point in the world; shark cage diving in Shark Alley; and skydiving to witness spectacular views of the city. Cape Town is undeniably a premiere tourist destination for its extraordinary natural beauty and vibrant culture. It is however hounded with social and economic problems that can be rooted to its colonial past and troubled history. Breaking free from a long oppression from its colonizers, the city and its people has slowly evolved with the new freedom that they enjoy. Living in Cape Town and meeting its people have made me fall in love with a city of hope and incredible spirit. Great pictures from the Cape Town, South Africa adventure. Hi..I have been to Groot Constantia and Perdeberg Winery. Both of them have something unique. I did not get much chance to taste all the wine varieties in Groot Constantia, but my experience at Perdeberg Winery (http://www.perdeberg.co.za) was awesome. They produce some of the top wines of South Africa, with a few being awarded as best wines of the year. If you will go to Cape Town again, don't forget to visit Perdeberg Winery.